Visit littleliteracylibrarian every Monday for reviews of apps you can use with your young child! A book app! Whoda thunk it!? Unlike the board book, this app will read and sing to your child. Or you can read it at your own pace. Each page has an interactive element making the characters from the book moveable. Reading to your child is one of the activities of the five to set your child on the path to reading readiness. 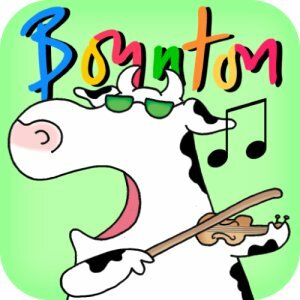 This app allows you to read the book but also make the book come alive through sounds and song. All of the apps reviewed in Appy Monday! are available on the iPads located in the Picture Book Room!